The doctor said my snoring was most likely the result of enlarged tissue in my airway due to ageing, lack of fitness, drinking alcohol before bed, weight gain, and some medications. Thankfully, my wife Shannon chose to wear ear plugs instead of leaving me! I tried a number of things to reduce my snoring, but had little success. In 2017 I found SnoreLab. I finally found out how bad I snored and I began to try several remedies including exercise, diet, mouthpieces, and pillows designed to help snoring. Things weren’t really improving that much. My Snore Scores averaged above 50 and I ranked in the 86th percentile of SnoreLab users. Or as my wife put it, my snoring was horrible. Then came the seven day No Added Sugar Challenge (NASC) and the week that just may have saved a life. I thought I’d give the challenge a go after hearing about the success others had. I don’t normally eat or drink a lot of sugary foods, but when I do, I go all in. But it’s only seven days – challenge accepted. Completing the challenge with Shannon made it so much easier. 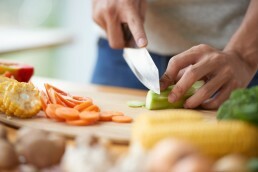 We eat fairly well most of the time so it wasn’t too difficult to stay on track. Nonetheless, we were very surprised about how much of the food we typically eat has added sugar. This led to a couple of heated discussions, “There is no way bacon has sugar!” Turns out it does. We planned and prepared some food for the week: hard boiled eggs, roasted almonds, cheese sticks, veggies and fruits. Shannon was very creative with dinners. On day one she made a chicken and black bean salad with homemade avocado dressing – it was absolutely delicious. Day two we had stuffed peppers with a no sugar added sauce that was a little pricey but very good. We made it through the challenge, and had a little fun with it along the way. I noticed that I initially had to resist getting up and looking for a snack, but by the end of the week I didn’t feel the urge so much. I lost about six pounds and Shannon and I both seemed to be getting better sleep. But what does sugar have to do with sleep? And what about the snoring? My Snore Score average went from above 50 to single digits. I couldn’t believe it. While I have not discussed this with my doctor yet, I am convinced that added sugar intake is a source of the tissue inflammation and likely the cause of my snoring. The week after the challenge, I tested this theory by eating foods that I would normally eat. For lunch I had an Italian meat sandwich with condiments and salad with dressing. For dinner: pizza, wings, veggies with blue cheese dressing. I had a significant increase in snoring and scored 35 – and then an immediate decrease as I went back to paying closer attention to added sugar intake. I continue to monitor my snoring and control my sugar intake. By reducing sugar, my snore score continues to average about 8. I have been getting quality sleep and Shannon has even given up the ear plugs. Snoring’s link with bodyweight is well studied and well understood. Less appreciated is the importance of what and when you eat. We are hearing more and more stories from people who make these adjustments to their diet and almost instantly see reductions in their snoring: from reducing sugar, the paleo diet, to eating very small evening meals. 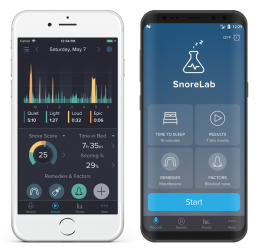 Be sure to check out SnoreLab’s SMART strategy for weight loss and a healthy lifestyle – a great way to kick start your journey towards silencing your snoring. All of our user stories are genuine accounts from SnoreLab users. If you’d care to share your experience about using SnoreLab, we’d love to hear from you. Please contact us on support@snorelab.com or get in touch via Facebook or Twitter. In the interest of privacy for our users, names and pictures may be changed. We use the wording quoted to us by our users but may make small stylistic changes. What Happens in a Sleep Study?